...55+ communities to make your dream of retirement a reality! Locate by states, search box or navigation. 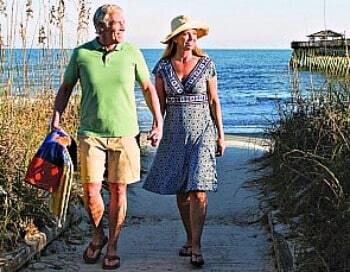 Where will your retirement community be? 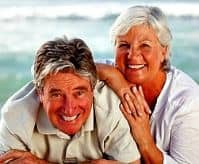 Are you seeking a new home and lifestyle after age 55? The senior or retirement years can be a time of great enjoyment as you explore, play, and learn. 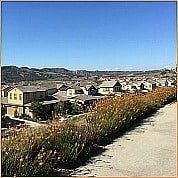 Looking for over 55 communities? You will find them here...If you wish to know all the communities in an area, you must go to separate categories. Example: Over 55 communities by state, and 55+ manufactured homes, mobiles, and apartments by category. TAKE NOTICE: Some communities are now selling out of their 1st phase before they have built model homes. It is best to stay in touch with a community early on if you have an interest. Lower priced homes sell fastest. Written with Will Honan, Marketing Director of Highland Green Community in Portland, Maine. You will be surprised to find out where Maine residents go in summer and see Maine differently. This is our most popular article and of interest to snowbirds and those interested in knowing more about park models. Our expert is an owner and developer of mobile home parks. See More articles--our own original Interviews with some of the best experts graciously contributed at our request. I promise to use it only to send you Best Guide-RC. New Communities are beginning to stir. Builders are excited to get started with their new projects of building for over 55er's. Stay on this site for updates of the newest communities. Look for the charts on each state page that will show the newest luxury communities for 55+. We like to be prognosticators of "What's New" and "What's Coming." We are noticing strong interest in communities with more activities especially ones with opportunities to exercise. Check out our new categories for Amenities for Active Aging. Along with new categories, look for our new articles coming in 2019 on how to exercise for your age group and why its important and what communities offer the best amenities for this. Prices are still very much on the flux so be sure to check individual community websites for the latest community pricing. 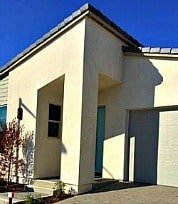 We do our best to keep up with today's rapidly changing prices but the only way to find the most current price is to call the builders or look at their websites. Note: Snowbirds are just about finished leaving their winter rental homes and their winter second homes for another season to return to their homes in the northern areas. We recommend finding your next season's snowbird getaway early as rentals fill up fast. Speaking of seasonal rentals, see our short-term rental page or Florida apartments page. 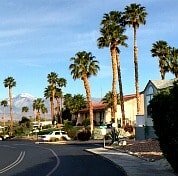 RV park communities are another option for snowbird getaways. Higher prices are still a concern, leaving many out of the market for luxury 55+ communities. Fortunately, builders of 55+ communities are offering Spring incentives now to help you purchase your new home. Are you still having a hard time coming up with the cash? Try searching our low income housing and mobile home categories. RV park model communities, also called "tiny homes" are affordable and if you lease the land even more affordable. Find them here. We will be listing more of these little gems in the future as we find them. Also, look for age 55 and up communities with small square footage plans. See more options for affordable living in your retirement years here. 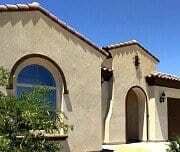 Rancho Mirage 55+ luxury community by Del Webb in the Palm Springs area at Rancho Mirage. Caliente Springs Resort In Desert Hot Springs, Ca. Manufactured homes and RV park models good for snowbirds or year-round. we have listings for you! The National Association of Realtors has news releases monthly. They give excellent updates on the real estate market. Please consult with Realtors how this relates to your local market or one you are interested in and for advice. Note: Overlapping occurs when your search fits more than one category. This happens a lot. The remedy is to check more than one category to find what you are looking for. For instance, mobile homes can be found in the mobile home, RV and manufactured categories as well as state categories. We have a lot to view for just one visit--we hope you'll Bookmark us so you'll come back for more as our site constantly changes. Disclaimer: This is an information only website. Information here is not to be considered as advice or even opinion. Consult with local Realtors or professionals especially before making any purchases. You are given links for your convenience only. We are not responsible for third party purchases or information. Please verify prices and information seen here as they can change. What you do with any information is solely your responsibility. If you have a question or have found a great place, please Let us know. See: Libraries in the digital age. 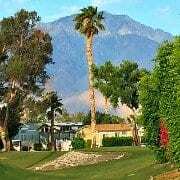 Welcome to my comprehensive lists and descriptions of retirement communities in the U.S.
Palm Springs California -- a great area to retire. 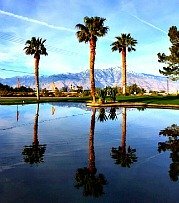 New Review: Del Webb at Rancho Mirage, Ca. New Review: Ovation at Flora Park in Cypress, So. Calif.